Galaxy lovers need look no further! Easter Delivery Notice: To ensure we deliver all existing orders as promised, we are unable to process any new orders in time for Easter. Supplied in a cellophane gift wrap with additional bow. NEED TO INCLUDE A GIFT MESSAGE? We have it covered! Simply enter your gift message in the “notes to seller box” at checkout and we’ll make sure they get it. 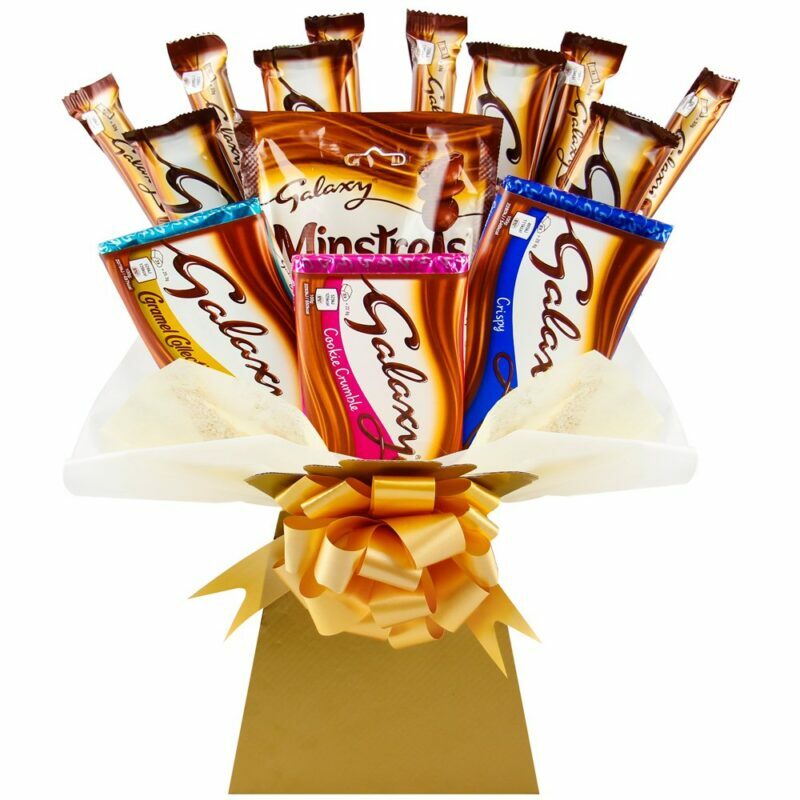 We use our own Sweetie-Bouquets gift cards that are suitable for any occasion. 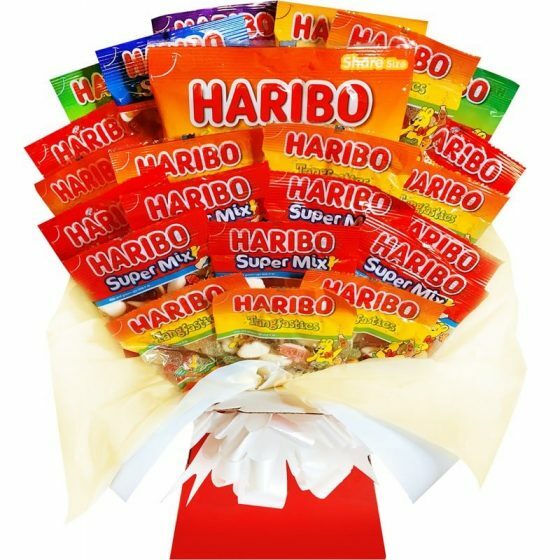 NO SWEETIES WERE HARMED DURING THE MAKING OF THIS BOUQUET!! 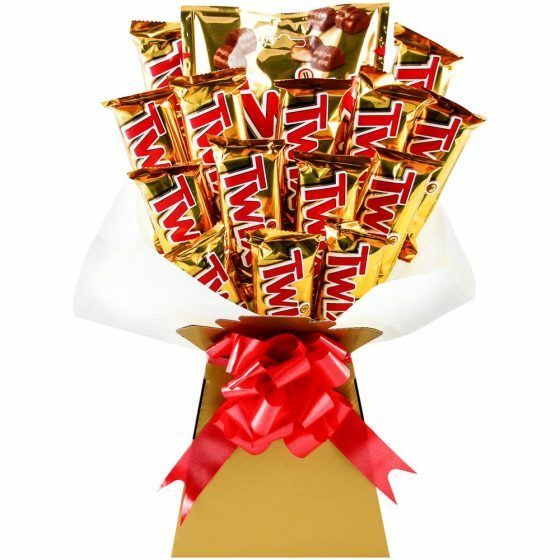 We do not skewer or in any other way damage the chocolates or candies that go in to our bouquets. 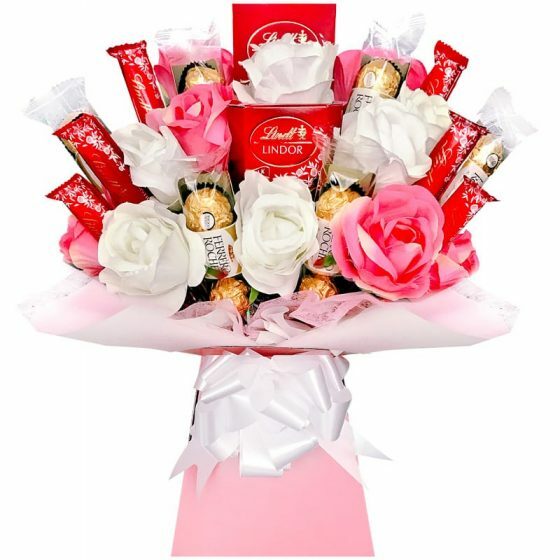 We carefully handcraft every bouquet to ensure our sweeties arrive fresh, in perfect condition and always include long sell by dates. Subject to availability, we sometimes may need to substitute an item for another similar item of an equal or higher value. So impressed with the service from start to finish. Extremely helpful and the end product was amazing. It was so beautifully presented and beat a bouquet of flowers hands down. Can’t wait for the next event or Birthday so I can order again. Thank you so much, I’m a very happy customer! Stunning products and very quick and professional. Bought this as a gift for my friend and she absolutely loved it! Delivery was fast and everything came in its place! Will definitely buy again and 100% happy with everything! Thankyou!